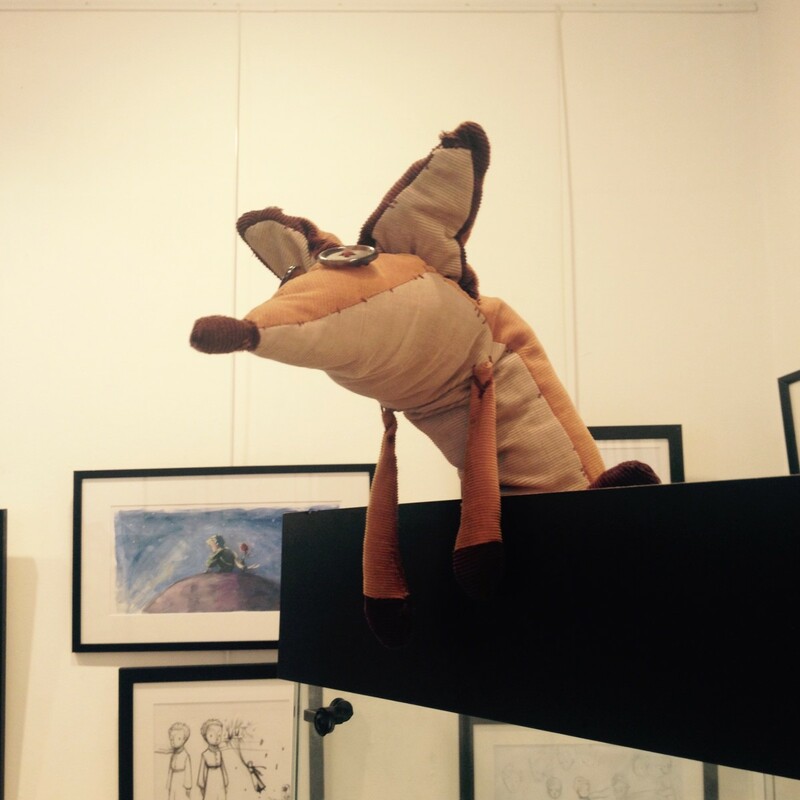 I arrive at Arludik, a small art gallery on Paris's Ile Saint Louis, where I am to meet the director and two illustrators behind the new animated film The Little Prince, which will hit French cinema screens on July 29, 2015. Three days ago, I was invited to the press screening of the movie. At the Normandie cinema on the Champs-Elysées, I found myself plunged into darkness at 10.30 a.m., 3D glasses on, trying to recognise the voices of Marion Cotillard, Guillaume Canet, Vincent Cassel, Laurent Lafitte, Florence Foresti and Vincent Lindon, just some of the French stars providing voiceovers for the piece. This film version offers a fiction within a fiction. 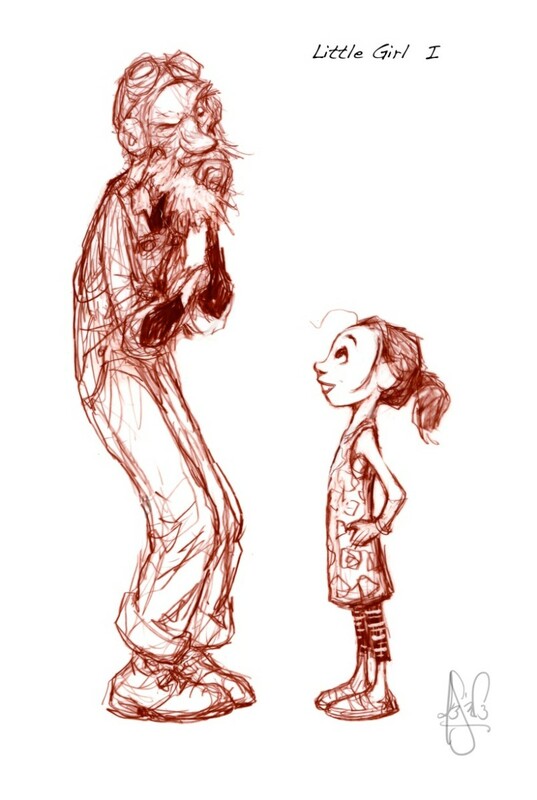 A little girl and her mother (who is very strict about the future she envisages for her child) move to a new home near an eccentric old man, who keeps telling the child a story which captivates her and gradually causes her to deviate from the morose future mapped out for her. 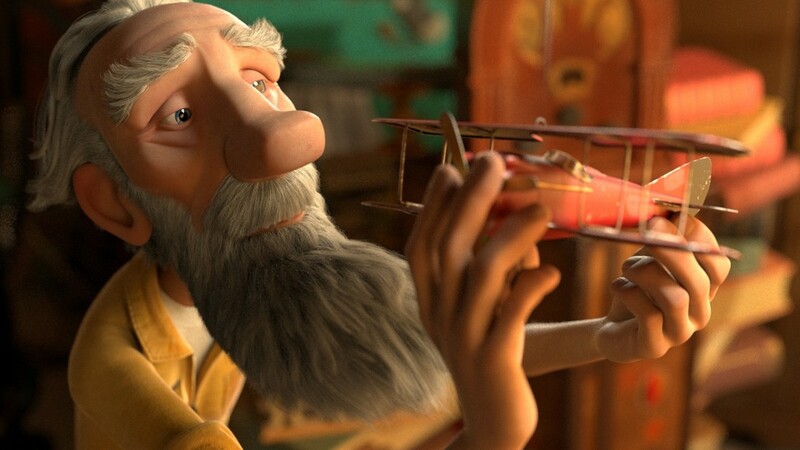 The story he tells is that of the Little Prince, which he swears is true because he lived it: the aviator-narrator is him. I know The Little Prince well – the book, at least – and I imagine that the interview will be more of a conversation than a simple question-and-answer session. We’ll just have a natter. Easy peasy. Why am I telling you all this? Because, IDIOTICALLY, having watched the film in French, I had completely forgotten that its 3 creators were, in fact, AMERICAN! And my nattering skills are considerably less polished in English than they are in French, particularly in the middle of the afternoon without a cocktail or two in my system to help me out. When I realise all this, it is too late. I am already at the gallery. It’s 35°. I’m sweating buckets, and in 2 minutes it’s my turn. I just need to hold out for 20 minutes. I take out my fan while trying to appear calm, not noticing that my 3 interviewees have already sat down in front of me and are waiting for me to begin. They seem very nice. By which I mean they are smiling, which is a start. “Are you nervous?” asks Alex. I nod, hoping to appeal to their sensitive side so that they might go easy on me. 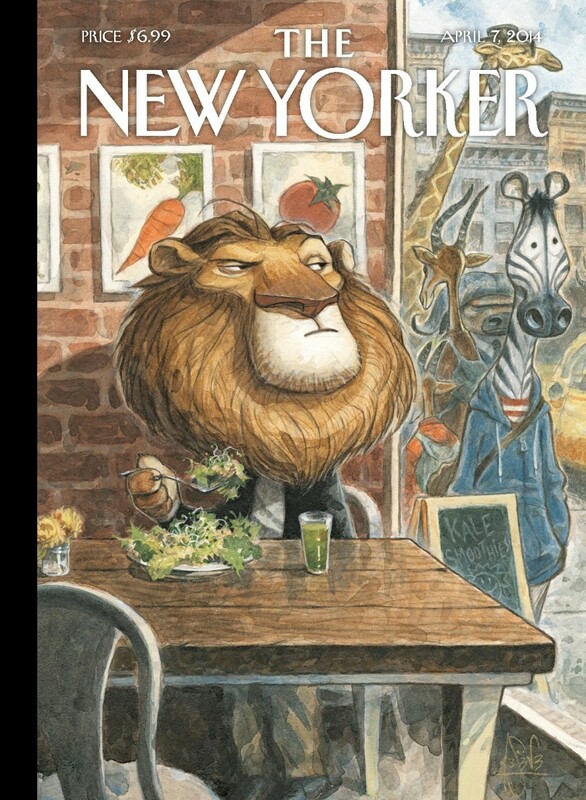 Opposite me is illustrator Peter de Sève. He designed all the characters for the new story. A megastar in the US, he has worked on movies such as Mulan, Finding Nemo and Ice Age, and has designed several covers for The New Yorker. 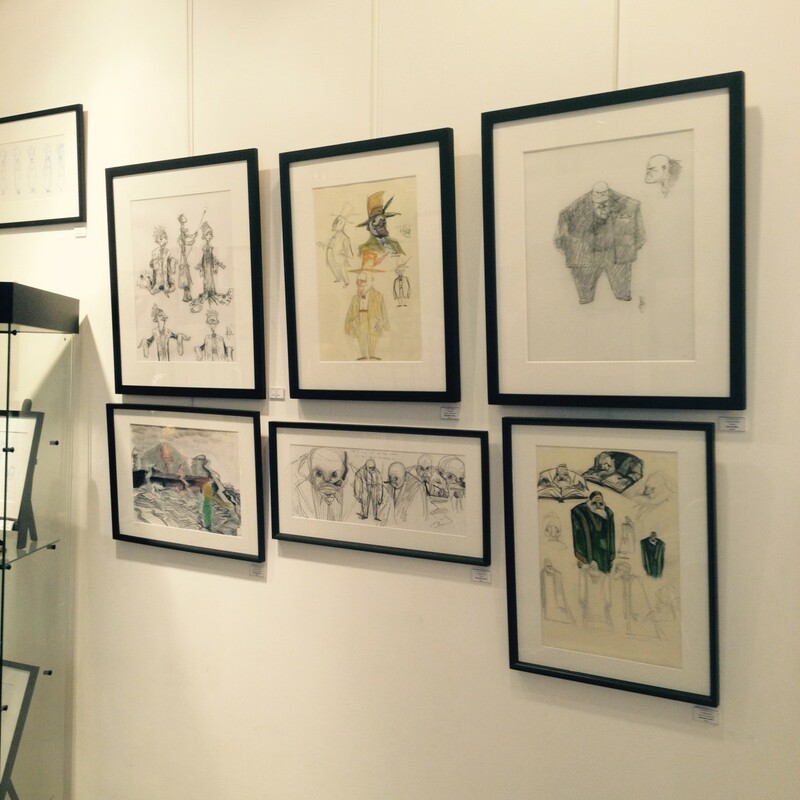 Next to him is Alexander Juhasz, the other illustrator. 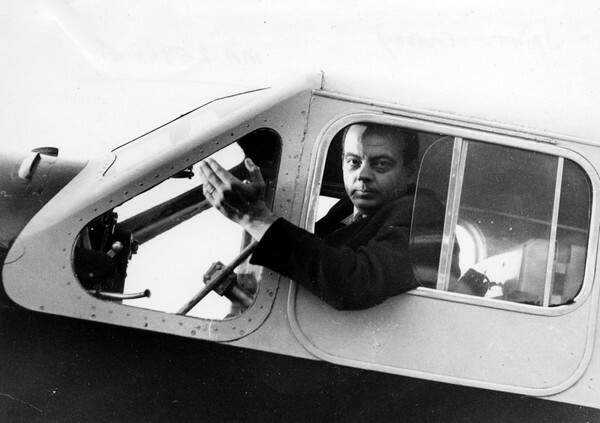 The one who had to adapt the drawings of Antoine de Saint-Exupéry and animate them in his own way as they embarked upon fresh adventures. To my right is the maestro, director Mark Osborne. 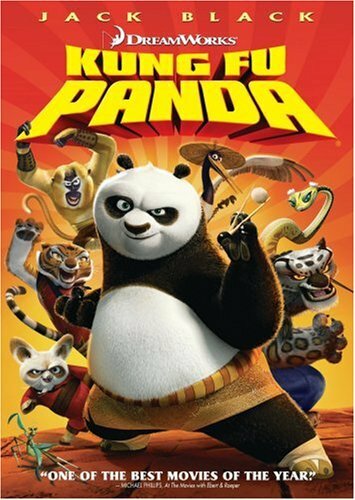 His films include Spongebob Squarepants, Kung-Fu Panda, and Monsters vs Aliens. They are all laughing and joking. They put me at ease. They tell me their French is terrible. That everything is cool. They burst out laughing. Are they drunk or something? Maybe it’s the heat. Perhaps they are tired. Are they mocking me? No, none of those things, explains Mark. It turns out that Peter had never actually met Alex or Mark, who were friends with one another. This trip to Paris is the first time the three of them have met up. Mark had long been a fan of Peter and contacted him 4 years ago to work on the project. After countless Skype sessions, they became friends and worked together from a distance. Mark’s vision of the film was one of an animated 3D feature combining digitally created images with pencil-and-paper drawings. It was a painstaking and complicated process which took several years to complete: finding a producer, forming a team, thinking about an angle, writing the script, and finally turning his ideas into something tangible. In France, having The Little Prince on your bookcase and having it read to you by your mum at bedtime is as traditional as being given a Sophie giraffe at birth. What people in France sometimes forget is that the book was published in 1943 in New York, in English and French, and sold 145 million copies worldwide after being translated into 270 languages… It is quite a big deal. 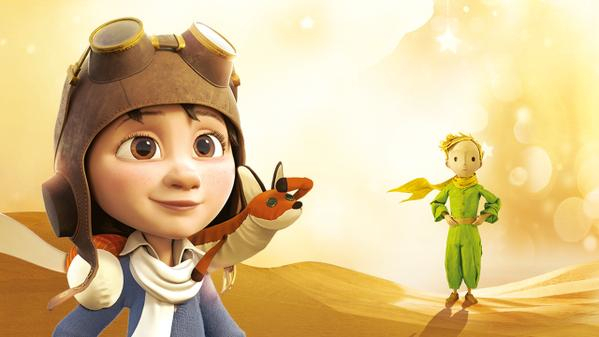 Antoine de Saint-Exupéry may have been French, but The Little Prince is resolutely international. He is one of those characters without ties (except to his “little planet”), totally timeless and stateless, operating only in the vast expanses of space and the desert. As such, despite his extra-terrestrial blondness, he is someone with whom all children can identify. But Mark tells me that he had to fight to find funding and to prove day by day as precisely as he could that his project was going to be a success. The writing of the film was a work in progress for nearly 5 years. Lots of things have been changed since the first version, with the final details being hammered out until the very last day of editing, just a few days before the movie was due to hit the cinema screens. During the interview, I wondered out loud whether the film wasn’t actually two films in one: one story for those who have read The Little Prince, and another for those who are totally new to it (…and Peter said it was a good question! Phew! I feel better already.). Mark: When you’re putting a picture like this together, you have to think of all the different levels it can work on. You have to think about young people, old people, people who know the book, people who don’t… But at some point the movie has to be made! So in the end you can be sure that there will be different interpretations and different emotional reactions to the story. (…) I just hope that for those who know the book, our movie will offer a new experience that is just as interesting as their first encounter with the story: a kind of dialogue between what they already know and things they are rediscovering, or even little details they are seeing for the first time! When it came to the characters, Peter naturally found inspiration in his family. The old man could easily be his own grandpa. But he did so without any photos. Purely from memory. Guided by his feelings. 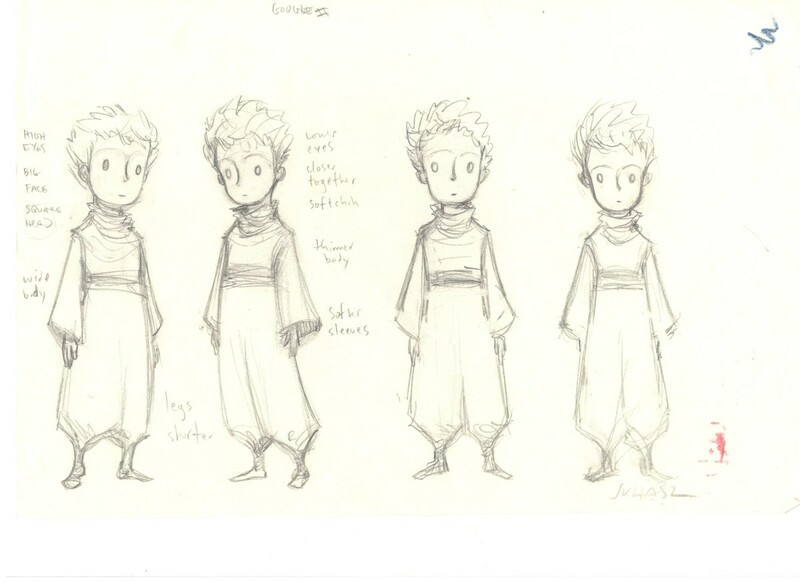 To finish, I ask them whether, after drawing and/or looking at animated images all day, they ever dream in animation. “Yes, that can happen,” says Alex. “I’m often lying down and covered in trash…” At this point, I wonder if I am really following what he is saying, as I’m struggling to see the link. But he goes on to explain that dreams play a big role in his working process. Sometimes, when he’s stuck with something, he even finds solutions in his sleep. Peter, too, sometimes dreams about drawings, but in a different way. When he has been working on a painting for several days, he sometimes dreams that he has finally finished it. He is happy and proud of himself, only to wake up a few minutes later and come to inescapable and rather disappointing realisation that in fact, nothing is finished. Let’s hope, for Mark’s sake, that he never has to make an animated version of Titanic. 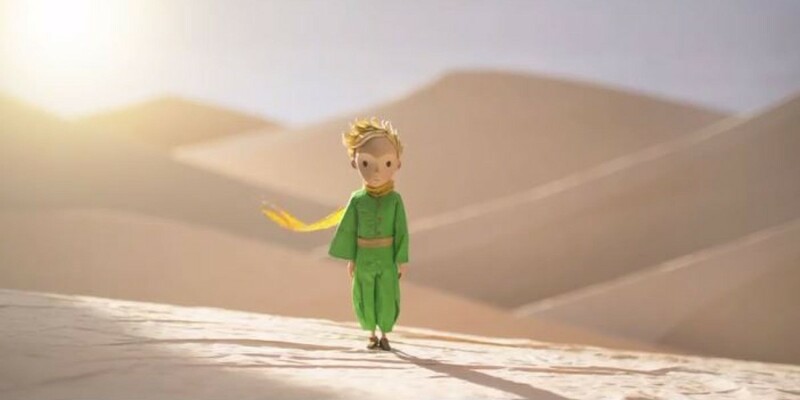 In the meantime, long live The Little Prince! May he continue to prosper for thousands of generations to come.